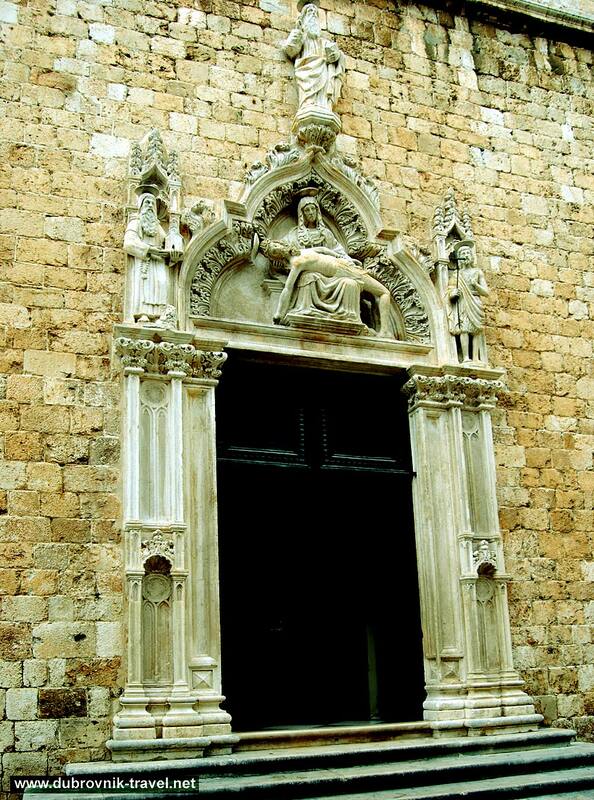 The Portal of Franciscan Monastery’s Church – Although the construction of the Monastery started in 1320 s, the beautiful south portal of the church was made much later, in 1498, by Ragusan sculptors brothers Leonard and Peter Petrović. 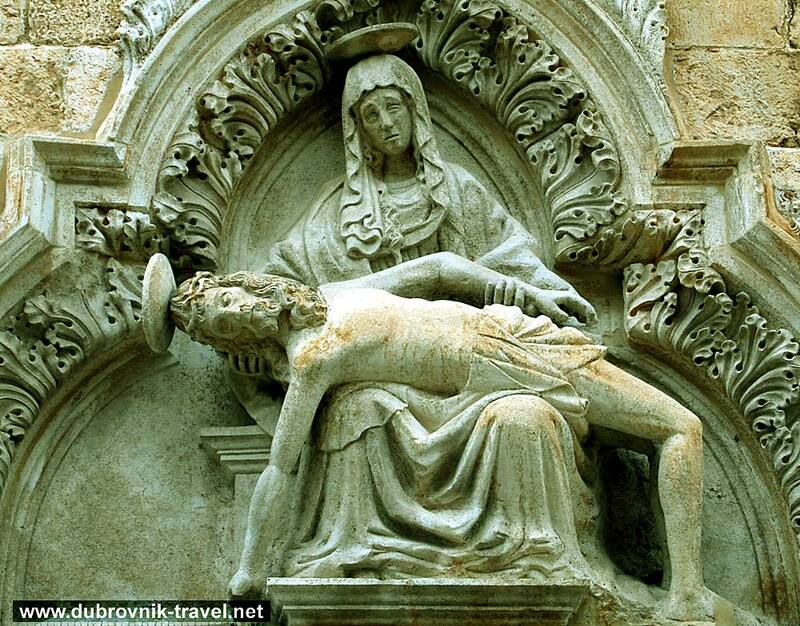 Sadly, in 1667, due to devastating earthquake, the the original church was completely destroyed and all what was left is this fantastic late Gothic portal and its Pieta which shows Virgin Mary holding her dead son Jesus on her knees. Amazingly beautiful. 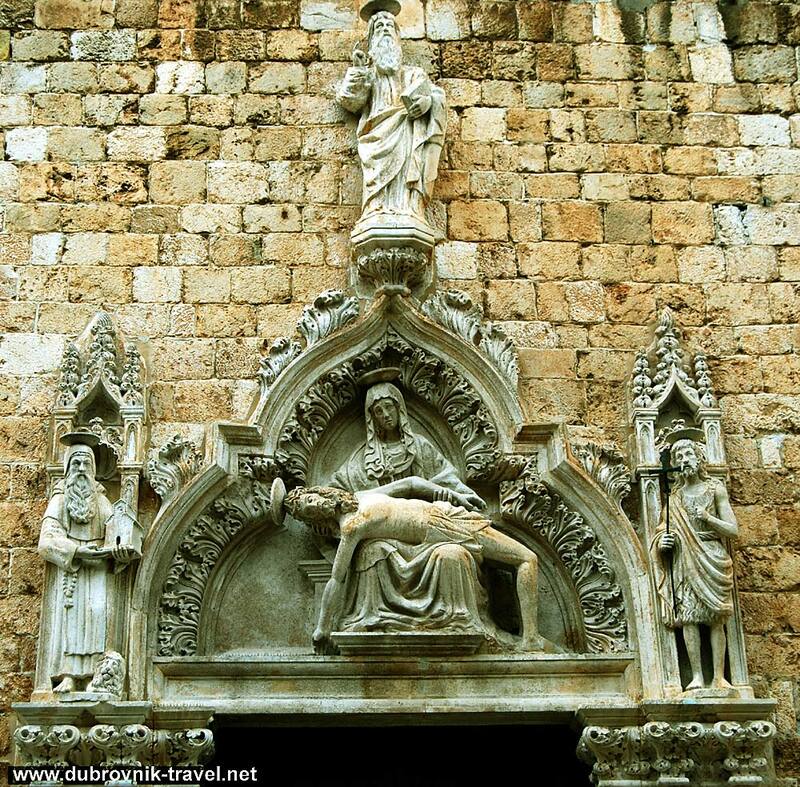 Wider picture of the Pieta and top part of the portal. Vintage graphics of the Portal. 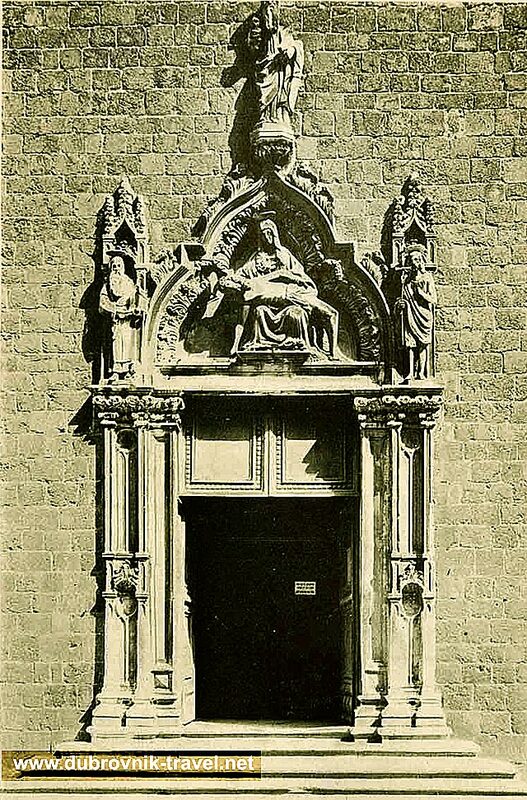 Note: If you would like to see this portal but can not make it to Dubrovnik, you can see the smaller, plaster cast of it in Gliptoteka (Zagreb).